This features Spandau Ballet at the height of their popularity after the release of "True", which became a big hit in the Netherlands and when the follow single "Gold" had just broke into the top 5. I'm pretty sure this was an FM radio recording - it originally came to me from 1 of my listeners, who asked me to have a go at remastering it for broadcast. 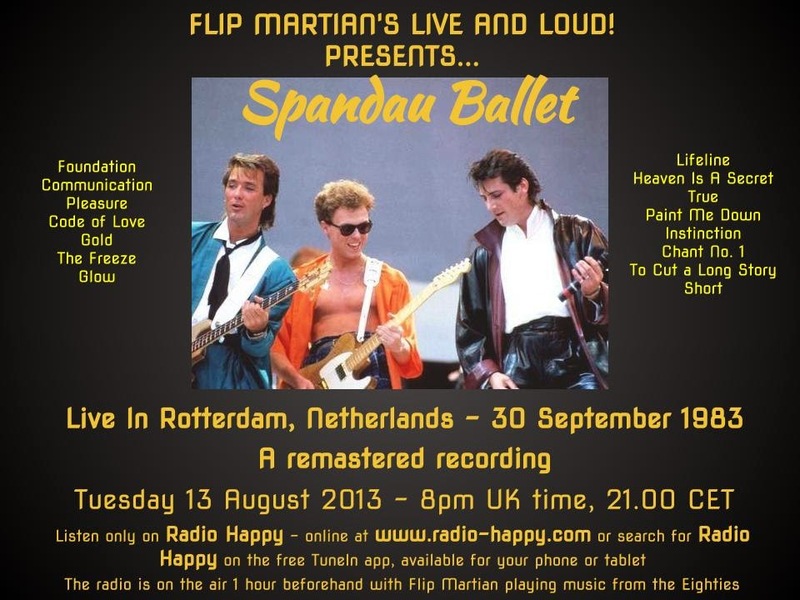 If you're a fan of Spandau, I think you'll agree it was worth the work. Another little gem that takes me tripping down memory lane. To cut a long story short: cheers!